What a bargain.....two full days of embroidery tricks and tips and 6 projects you'll actually complete in class! 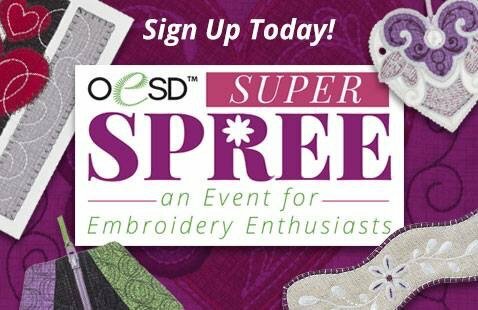 The EMBROIDERY EXTRAVAGANZA event is one you won't want to miss! It is a two-day hands on program featuring 6-in the hoop embroidery designs. Attendees will receive kits, designs, and a 'goody bag' worth at least $200!